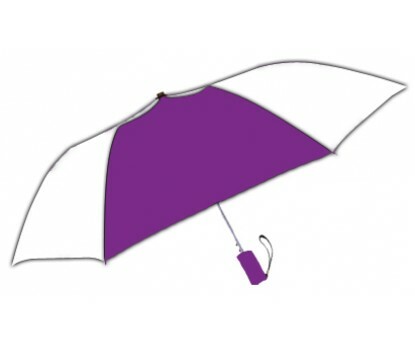 Personalized purple & white 42” arc windproof vented auto-open umbrellas are largely sought by marketers with creative interests such as fashion designers, art designers, auto designers, interior decoration services and event management groups, etc. 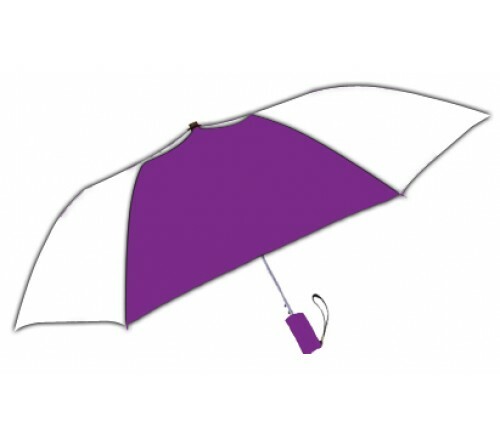 This umbrella steals glares with its bright canopy and specialized features such as 42” arc vented purple and white canopy, round metal shaft, windproof frame construction, folds to 15” long, and rubberized matching sure-grip handle. 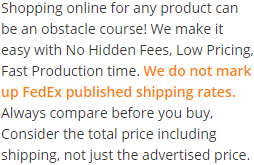 Matching fabric case is offered with each umbrella. Imprint area - 4” x 6”.